Pregnancy is an amazing journey—full of ups and downs, joys and fears, worries and excitement. Our goal at East Liberty Family Health Care center is for you to have a wonderful, healthy, and satisfying pregnancy and childbirth experience. We have a whole team assembled at our Lincoln-Lemington site, including doctors, nurses, a physician assistant, and counselors to provide you with the most comprehensive care possible. We value a cooperative relationship with our patients to help them have the best birth experience possible, starting with your very first visit. We highly encourage patients to use doulas, participate in birth planning, prenatal education opportunities, and breastfeeding support for those who are interested. In line with our mission of providing whole-person healthcare, several of our family medicine physicians are trained to provide both prenatal and obstetric care for our patients. Our obstetric team works closely to ensure you receive consistent high-quality care. Obtaining care at ELFHCC is unique and rewarding because we are able to provide seamless care to you over the life course, addressing your medical, dental, mental health, gynecological, and obstetric care needs through the various stages of your life. We pride ourselves in caring for families—starting from preconception care care of mothers, through prenatal care, delivery and postpartum care as well as pediatric care for infants and children. We have several families/patients who we have cared for multiple generations within the same family, even delivering the children of children we delivered. 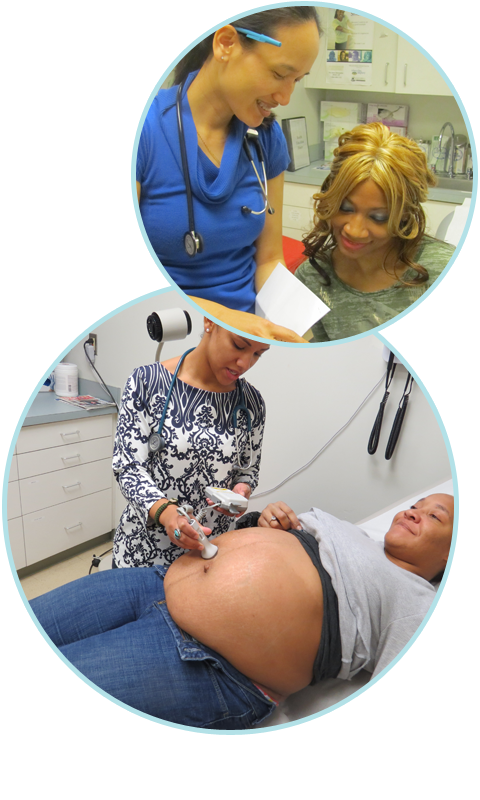 We provide complete prenatal care including in-office ultrasound and laboratory services. We care for women with a variety of conditions and work in collaboration with high risk obstetrical providers when needed for consultation. We provide care in a supportive environment where you will have a close relationship with your care providers, as well as comprehensive assessment and additional support services available to be sure that you are well informed and cared for in a comprehensive manner. We have 24-hour coverage for any obstetrical emergencies that require hospital evaluation and an on-call physician available to respond to any questions or concerns you may have after office hours.